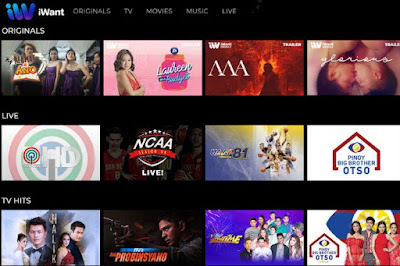 ABS-CBN now offer its own streaming service in iWant, a separate channel that offers new original shows and movies, something like what Netflix does. It’s most popular offering is “Glorious”, a May-December romantic drama starring Angel Aquino and Tony Labrusca, directed by Connie Macatuno. Chito Rono gets to revive his earlier “Spirits” movies and TV show with “Spirits Reawaken”, which will feature the exploits and adventures of six teenagers with supernatural powers who are given the chance to protect our planet from a deadly alien invasion. This stars Grae Fernandez, Kira Balinger, Jairus Aquino, Bugoy Cariño, Patrick Quiroz, and Chantal Videla in the lead roles. Then there’s the 10-episode anthology series, “Alamat Ng Ano,” that aims to tickle the imagination and funny bone of viewers as it shows the origins of ordinary things in an absurd and humorous way. Narrated by a talkative barangay tanod (Jobert Austria) and his trusty sidekick (Nonong Ballinan), it also stars Maymay Entrata, Kisses Delavin, Donny Pangilinan, and Melai Cantiveros. iWant’s exciting line-up of original content also includes the gore-horror film “Ma,” which revolves around a kid named Samuel (Kyle Espiritu), whose inner evil is awakened when he is forced to sacrifice a life to revive his dead mother (Glydel Mercado). Fashion and travel vlogger Laureen Uy also makes a splash on iWant in “Laureen On A Budget,” where she challenges herself to pull off chic outfits or to redecorate a room without breaking the bank. Aside from this month’s line-up of content, iWant will also introduces more new, original titles that will exclusively stream on the platform, including a special digital show for “Star Hunt” that will feature promising Filipino talents.